On a daily basis, real estate professionals deal with heavy information that can be frustrating if not handled smartly. As a real estate firm, we understand how important it is for real estate agents and investors to stay ahead of the competition. To help get you started, here is a list of 30 best mobile apps for real estate investors and agents in 2018, compiled by Houseo. Save time, eliminate slow pace, and close more deals on the go with these must have apps. 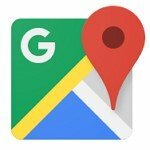 Google Maps is world’s leading mapping app developed by Google. It offers 360° panoramic views of streets, real-time traffic conditions, satellite imagery, street maps, and route planning for those traveling by public transportation, bicycle, car or even foot. It has important links which give you detailed descriptions and visual representations of locations through satellite imaging. It is available on web and mobile for easy access. Citymaps is an ideal an app for obtaining directions, searching for a specific location and planning trips. It has a social mapping community which is aimed at building one of the largest catalogs of map collections for users. If you need to search a place with ease, citymaps is your go-to app. Waze is the world’s largest community-based traffic and GPS navigation app. It provides real estate agents and investors with a turn-by-turn navigation information. 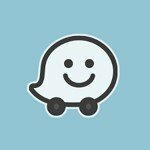 A user can submit travel times, route details and allow Waze to take care of the rest. It runs on all operating systems such as Android, iOS, and Windows. RPR is a mobile-based property research application targeted exclusively for REALTORS. It features links aimed at easing your tension and total time spent on searching for properties, and view of local market statistics regardless of the time and place. It shows all nearby listings and allows you take a deeper dive into any property with dynamic mapping, flood zones, historical data and tax details. The possibilities are just endless. 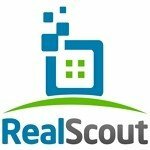 Realscout is a real estate data management application that presents a combination of the industry’s best home search experiences with revolutionary buyer data insights which are aimed at assisting you to win and sell more listings. Simply submit the data to Realscout and you can comfortably go to sleep knowing that your data is safe. 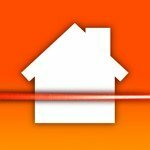 Easily locate the owner of an abandoned house and flip it for profit with Dealmachine. 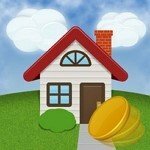 This app can be used to get in touch with the property owner via direct mail. Dealmachine also comes with great features which lighten the burden of looking for houses that appear vacant and can be offered up for profit. 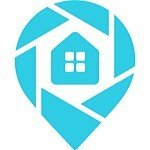 Dealmachine also presents features which assist you in locating house owners even when the properties are not offered up for sale. Getting your hand on the average rental rates of a particular location can be challenging and time-consuming or even unreliable if the resources at your disposal are not well managed. With Rentometer express, you can check all real estate sites, make phone calls and even scan the current rental adverts with little or no effort. The application replaces hard search with fast and accurate results thus increasing your level of efficiency. 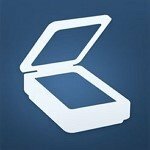 As its name implies, tiny scanner app is a scanner that turns your Android device into a portable document scanner. Tiny Scanner will be there when you need to quickly scan documents, photos, receipts, reports or just anything needed to seal the deal fast. All scanned files are saved as PDF or image formats. Docusign is a San Francisco-based company established to provide electronic signature technology and digital transaction management services that facilitate electronic exchange of contract documents. 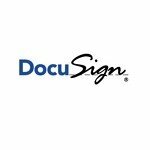 Docusign features vital links such as authentication services, user identity management, and workflow automation. Nothing is as tedious as form creation in a real estate transaction. These forms are prone to several errors which render documents invalid. 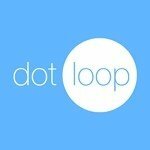 With Dotloop, you can replace your form creation and every other real estate transaction management systems. It also assists you to streamline your business with real-time visibility on your transactions. Review files with great speed and accuracy with Skylope. This amazing app functions as a digital footprint for the life cycle of the transaction and stores every email, text message and interaction in a digital log. 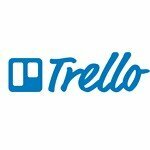 Originally made by Fog Creek Software in 2011, Trello is a web-based project management application created for granting managers a free and flexible way to organize plans, projects and more. It is available in 21 languages and can be used for teams of all sizes. It features offline mode and an avenue where you can also plan with other teammates. It is available on iOS and android. 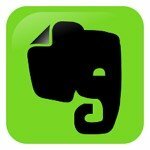 Evernote is a productivity app designed for archiving, organizing tasks and taking notes. Evernote enhances your efficiency and the speed at which you locate files stored on your phones. It also features synchronization of memos to make them more searchable and accessible from anywhere in the world. With Evernote, everything you need is at your fingertip. 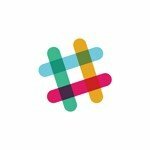 SLACK, an acronym for “Searchable, Log of All Conversation and Knowledge” is one of the few team collaboration tools that will simply blow your mind. 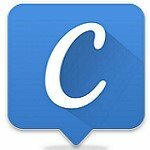 It is a cloud-based set of propriety team collaboration tools and services which can be used for organizing notes and knowledge into a searchable and conversational mode. It comes in handy by reducing the total amount of time in organizing meetings, receiving internal emails and the integration of tools. It features vital links such as instant messaging, file sharing, 1000 App integrations, a searchable archive, screen sharing, and voice calls. 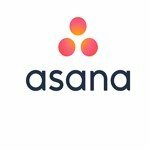 Asana has a wide range of usage since it is available on the web and mobile devices. 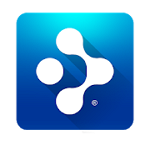 Asana assist team members to organize, track and manage their tasks. It is the perfect definition of a simplified team-based work management. Asana is ideal for organizing and planning workflows, projects and many more, thus making your team extremely productive. Most often than not, real estate investors who flip properties will be faced with the challenge of effectively managing their entire portfolio. Property fixer gives you the liberty to manage all properties by simply entering some vital information available to you. Dealcheck helps you keep track of all properties with detailed analysis right from your computer, phone or tablet. It is very fast, reliable and lets you to perform due diligence, compare properties and find best real estate deals. Dealcheck offers you one of the fastest and simplest ways to analyze and compare investment properties on your mobile phone. 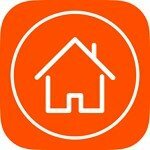 Landlord studio is a Landlord App for residential and commercial property management. It is available on iPhone and gives you a chance to manage all your projects with a single click from your mobile devices. Sparkrental is an amazing application which takes care of all your needs from rental listings to tenant screening, protective leasing documents and other rental management activities. The software features online rent collection, expense tracking, and ledgers which enhance communication with renters, property photos and legal documents storage. 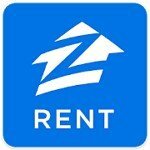 Zillow rental manager is an amazing app that lets you to manage all your rental listings and rental openings. List your rental house, townhome, condo or apartment for free on Zillow. Simply provide Zillow rental manager with some vital information and it will take care of the rest. Roomscan offers three vital ways to get a floor plan – Touching the phone against the wall, augmented reality scanning and manual drawing using a laser. The app is used for scanning building exteriors, yards and gardens with the ExteriorScan and PlotScan feature. It also provide options to export, save, send and print of your plans as standard image files without restrictions. 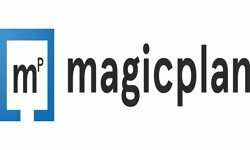 The floor plan creation app magicplan is a powerful multi-tool. Create floor plans and use the app’s features to save time and money. Create as many floor plans as you need and make full use of magicplan. Your first plan is free! It is available on iOS and android. Take charge of all your measurement and drawing of floor plans with Magicplan. 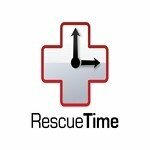 RescueTime is a great web-based time management application that lets you maintain 100% focus while working on your computer. Rescuetime also gives you a clear view of how much time you have spent on each task. 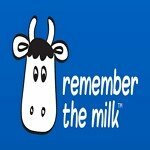 Remember the milk is an application service provider for most web-based tasks and time management. With this app, you can manage your tasks from a computer or smartphone either online or offline. It assists you in allotting time to tasks and keep you focus while working online. Sanebox is an email management software service that integrates IMAP and exchange Web Services email accounts. It is primarily designed to filter unimportant email messages into a folder for later. 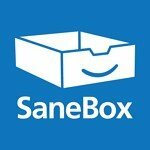 Sanebox functions more or less like the spam box in your mail but it only archive emails which it regards as unimportant. 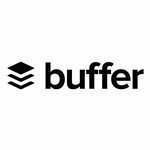 Buffer is designed to manage accounts and send scheduled posts on social networks such as LinkedIn, Instagram, Facebook, and Twitter. It also analyzes engagements and results obtained from these posts. Buffer is available for web and mobile devices. 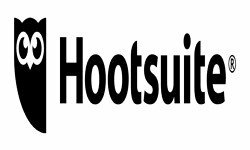 Hootsuite is primarily designed as a social media management platform. It supports social network integrations for YouTube, Google+, LinkedIn, Instagram, Facebook, and Twitter. 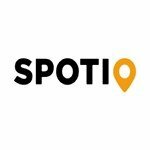 Spotio is the world’s number one field sale enablement solution for sales reps and managers. It brings about an insane boost in productivity and increases sales by 23% and shortens sales cycles. 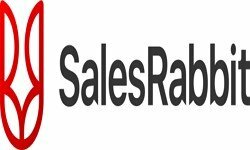 Salesrabbit is one of the few marketing applications dedicated to educating you on the creation of significant, lasting changes in your individual reps, sales team, and company culture. While sales apps are for amateurs, salesrabbit is aimed at building sales professionals that will steer the market. 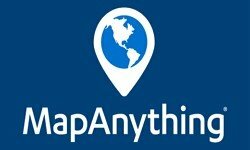 Mapanything provides a suite of apps and platform services to drive productivity and planning for various industries. It is a geo-productivity platform in Salesforce that helps sales and marketing teams increase their level of revenue and also boost productivity. It is available on all platforms and can be used by all levels of sales representatives. No one app will take care of all your real estate needs but some Apps listed above will enhance your workflow and create better experience for your clients. See you at the top! Thanks for including DealCheck in your list, along with some other great apps. We really appreciate it!